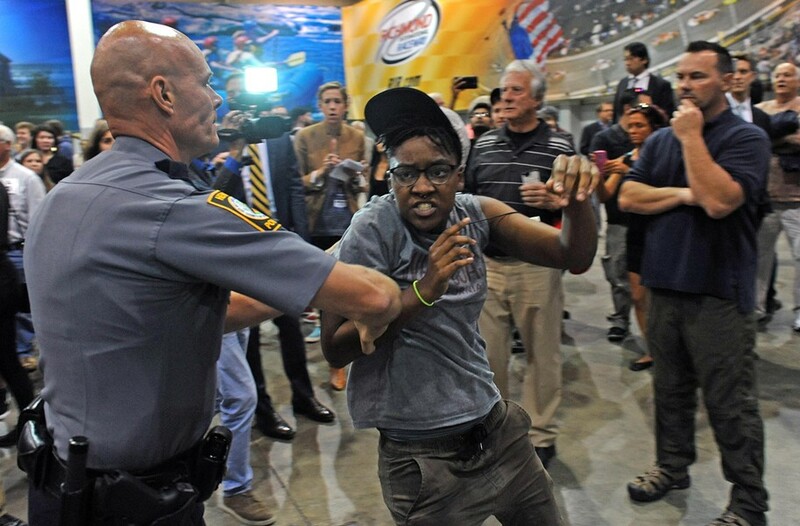 2015 Richmond Photos of the Year | Cover Story | Style Weekly - Richmond, VA local news, arts, and events. The most memorable faces and captivating Richmond moments. The frigid air of January punctuated the harsh reality that our former Gov. 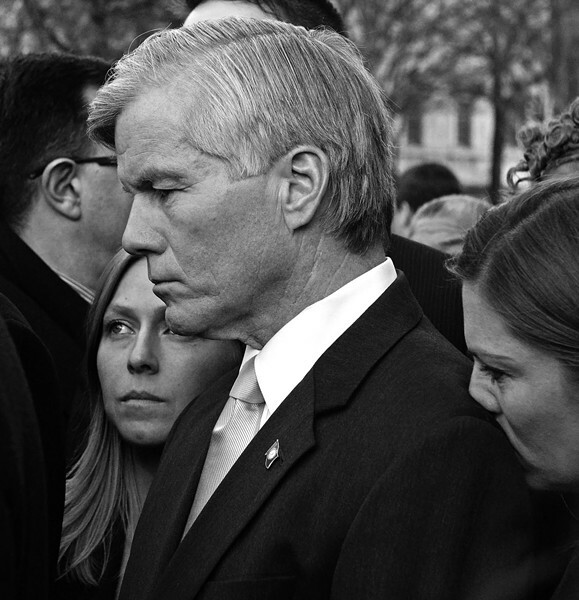 Bob McDonnell was convicted of corruption charges. After the sentencing announcement, members of media, who’d huddled together for months, fled to file stories, back to their familiar beats in cubicles under fluorescent light. Back to normal. Well almost, except for the ominous and exciting prospect of the 2015 UCI Road World Championships’ arrival in Richmond. The buzz circling the race matched the flurry of work behind the scenes and in the streets. In between those historic events, controversy over the baseball stadium grabbed headlines, deplorable conditions of public schools continued, gun violence shattered lives in public housing, 2016 presidential hopefuls began their pilgrimages to the Commonwealth, Stone Brewing began construction, anchoring a formerly desolate area of Fulton Bottom, while poverty in the city remained at about 25 percent. 2015 marked one of Richmond’s most ambitious years, and these images provide a glimpse into a remarkable city, caught in the dualities of good and evil, success and failure, triumph and heartbreak. The UCI Road World Championships: Published Sept 22. 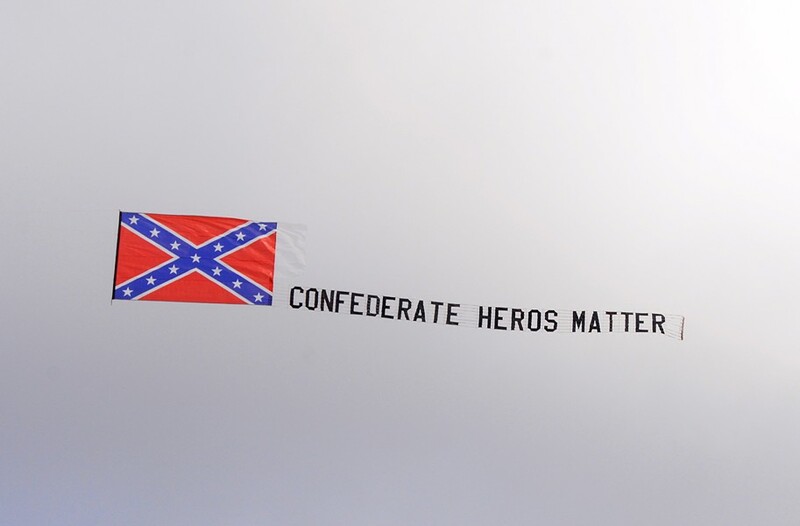 Dieyah Rasheed of the defenders for Freedom, Justice and Equality, an activist for 47 years, watches a plane tow a banner that reads “Confederate Heros Matter” above the Jefferson Davis monument. 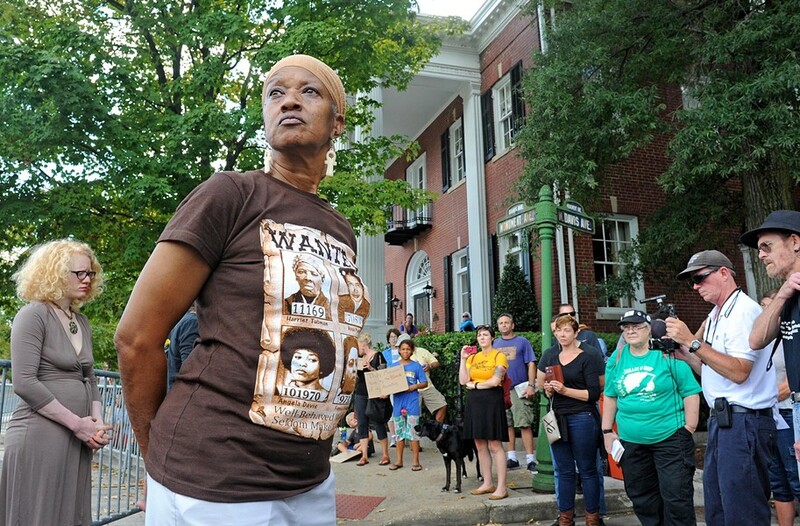 She and others marshaled supporters to raise awareness of social struggles in Richmond and to protest Confederate memorials as backdrops for the bike-race route. Photographer’s Note: Protests are pretty much a dime a dozen, but the plane circling Monument Avenue with the Confederate banner had most attendees looking skyward, proving that anything can happen, so you have to show up and look for the image that best tells the story. 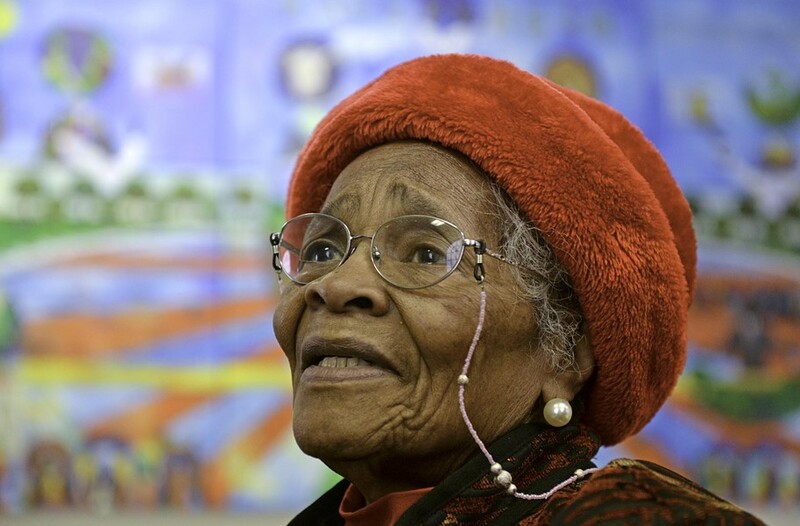 Her gaze is intense and powerful and offers a window into Richmond’s ongoing struggle to heal from the Civil War. 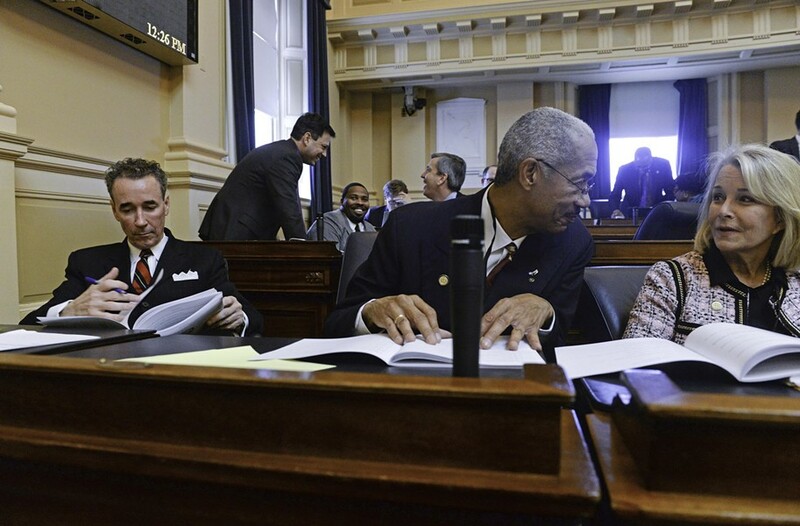 The Push for Change in Mosby Court: Published Nov. 17. Children comfort each other during a vigil mourning the death of William Crutchfield. Police found his body in a Mosby Court residence in the early morning hours of Oct. 4, shot multiple times. Crutchfield’s death was the ninth homicide in Richmond public housing of the year. 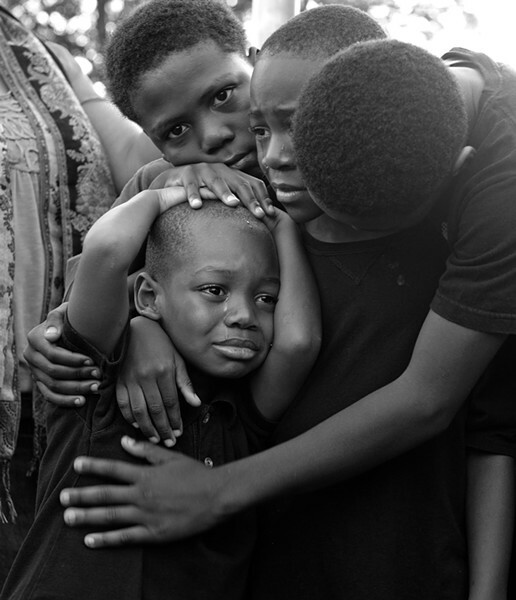 Photographer’s Note: There are few moments in this job that are as wrenching as watching children at a murder vigil. They look at the adults crying and follow suit. The hands and eyes tell the story. As soon as I saw the older boys pull the youngest tight I knew that was a key moment that illustrates the damage created by gun violence. 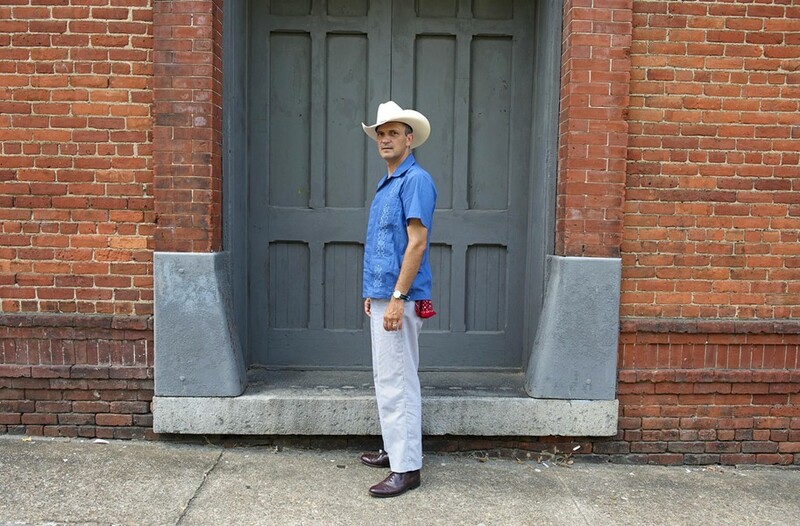 Photographer’s Note: I met Blasco at a warehouse in Shockoe Slip. The light was beautiful and I loved the symmetry of the doorway. Oh yeah, and a cowboy hat never hurts the cool factor. VCU Men’s Basketball Coach Will Wade: Unpublished. 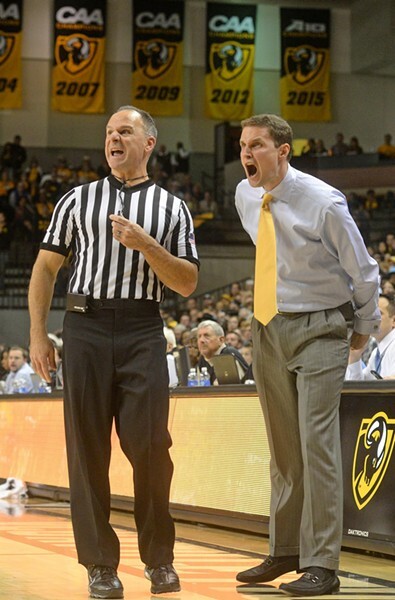 Will Wade and the referee react during Virginia Commonwealth University’s victory over Prairie View on Nov. 13 at the Seigel Center. Photographer’s Note: Wade is a joy to photograph and fun to watch, which I had the opportunity to do for a Style cover story. He’s the most intense mild-mannered guy I’ve ever seen. You just don’t expect him to see him explode in anger, stomp the floor, and attempt to bully referees. He certainly doesn’t back down from a fight. Boiling Over: Published June 23. 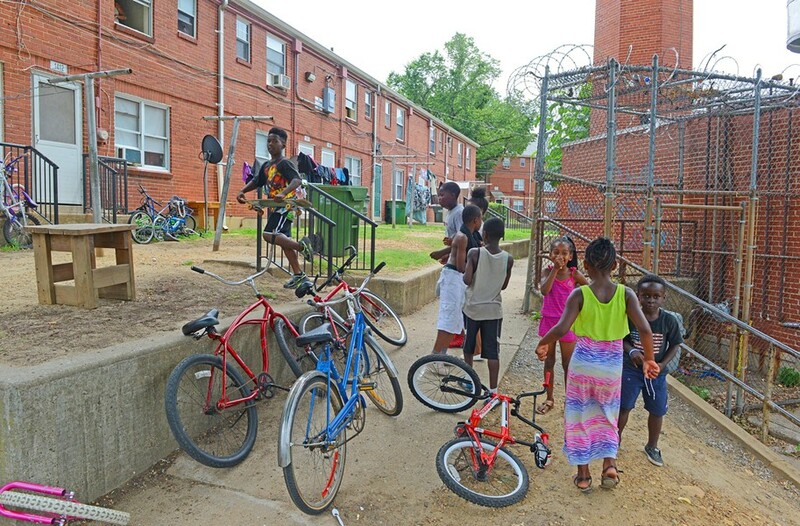 A decrepit pool gathers dust in sweltering Gilpin Court while Richmond’s troubled housing authority says it’s searching for solutions. The pool in Gilpin Court has languished in disrepair for three years. A group of children playing in the area say they swim at Battery Park. Photographer’s Note: The perception of going into the housing projects is that it’s a grim and spooky place. I find the opposite is often true. Children there are fun, smart and open. The adults warm to you quickly. I was looking to illustrate the surroundings while getting a candid moment. The kids ignored me after a few minutes, allowing me to record a moment of everyday life. Trump Riles, Inspires, Infuriates in Richmond Rally: Published Oct. 15. 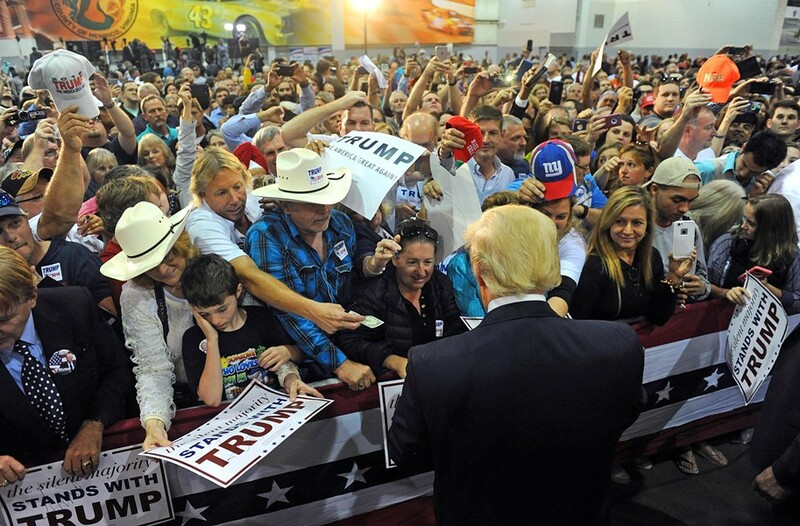 Thousands of people who come to support Donald Trump at his Henrico County rally punctuate his speech with thunderous applause. Others criticize him and some want to see the celebrity in person. Photographer’s Note: A small group of photographers were allowed to hop on the stage as soon as Trump started working the line. I noticed this young boy eagerly awaiting an autograph. His reaction best tells the story of Trump’s impact. Photographer’s Note: I saw trouble coming a mile away. Several minutes passed before the protesters were removed, so I just moved toward the exit and waited for the action to come to me. The Sentencing of Former Gov. Bob McDonnell: Unpublished: Flanked by his daughters, former Gov. Bob McDonnell stands outside the Federal Courthouse on Broad Street shortly after Judge James R. Spencer sentences him on Jan. 6 to two years in federal prison followed by two years of probation. Outside the courthouse he once again denies the charges against him and promises an appeal. Photographer’s Note: As the former governor left the courthouse, media scrambled and gathered around a microphone setup. I jockeyed for the best position possible and stayed put. I used a long lens to get this image, trying to eliminate as much of the crowd as possible. The result is an intimate moment captured during a chaotic scene. 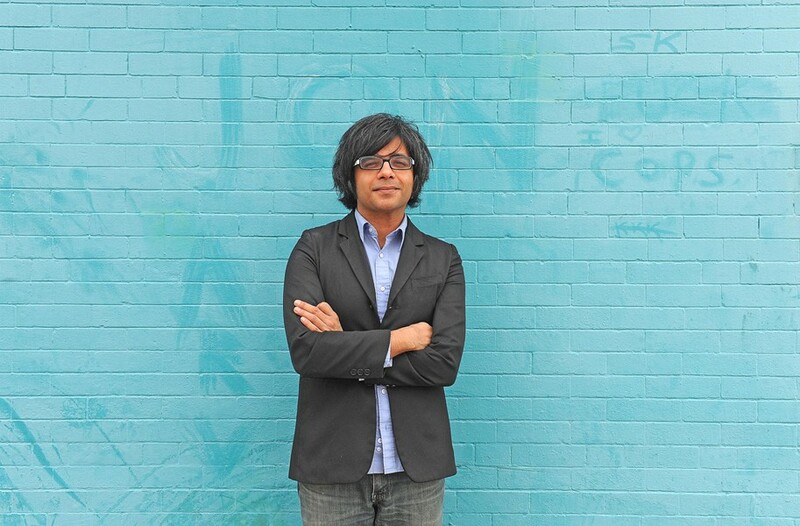 Photographer’s Note: Prabir’s an interesting guy. He’s a bit of a renaissance man who is low-key and philosophical. We were walking around the block together when I noticed this turquoise wall. I thought it provided a perfect backdrop, quirky and off-beat and not the typical brick wall that thousands of musicians have posed next to. Richmond Gospel Queen Maggie Ingram: Published June 25. Although she was 85 and suffering from Alzheimer’s disease, Maggie Ingram still seemed to have plenty of joy in her heart. And amazingly, she still recalled every word of the music that sustained her throughout her incredible life of service to her fellow human beings. This photo was used in her remembrance in Style, after she died at home June 23, surrounded by family and friends. Photographer’s Note: I’d never met Maggie before this rehearsal, which was for a free concert at the Virginia Museum of Fine Arts with her family in celebration of Black History Month. When I approached her and knelt down next to her wheelchair, she reached out, grabbed my hand and said I love you. I told her I loved her too. She continued to hold my hand for several minutes as she sang. The UCI Road World Championships: Published Sept. 22. Outside Jahmal’s Hair Salon on North First Street in Jackson Ward, Derrick Freeman watches a member of the Kazakhstan cycling team cruise by. Photographer’s Note: I knew that some readers were looking to Style for action photos during the UCI bike races, so I roamed the back streets of Jackson Ward to hopefully catch an interaction between locals and the international community. This image sums up the reality for some merchants. Life didn’t change much during the bike race. Business as usual. The Global Market: Published May 5. Along a strip-malled stretch of West Broad Street stands a microcosm of the South’s diversity explosion. Kriss Xanthosoma Fat of the Tindahan Filipino Market assists the Painter family of Richmond. 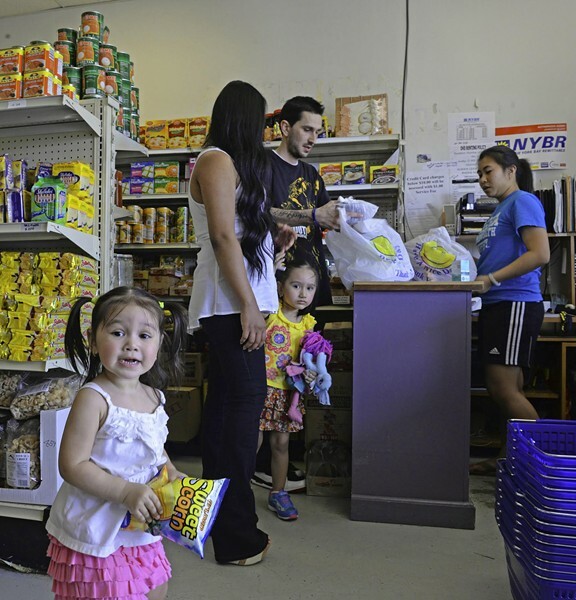 The Tuckernuck Square market on West Broad Street reflects some of the increasing racial and ethnic diversity in the metro area. Tindahan sits next to a Chinese takeout place next to a European deli in a strip mall with Indian, Greek and Japanese food. Photographer’s Note: I lucked out with the Painter family. They were kind enough to let me photograph them on a moment’s notice. The older daughter was shy but the younger one raced through the store and into the frame! Lonesome Highway: Published March 31. While plans abound for most of Richmond’s struggling areas, the five-mile stretch that is Jefferson Davis can’t seem to attract a savior. 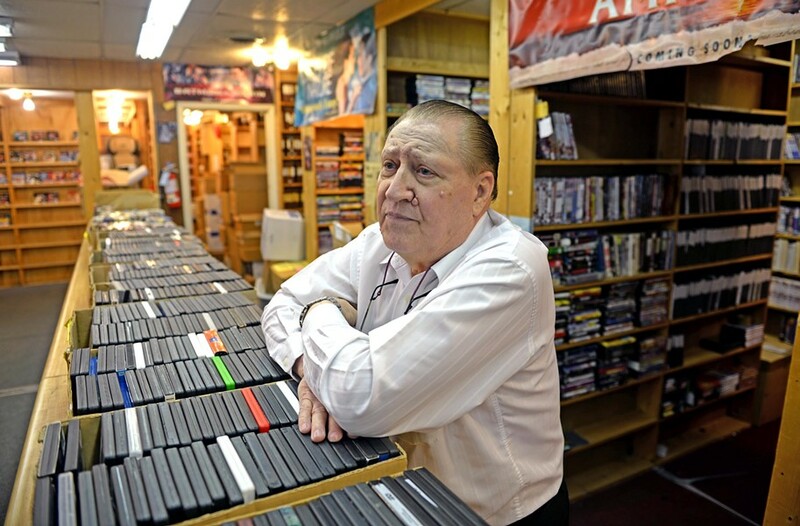 George Rosenson has run his video store for 30 years, watching the neighborhood change. As video rentals fall off, which he acknowledges is a separate issue, he survives by offering a large selection of adult titles. Photographer’s Note: George’s skin looked porcelain to me, like he’d spent 30 years inside the video store. 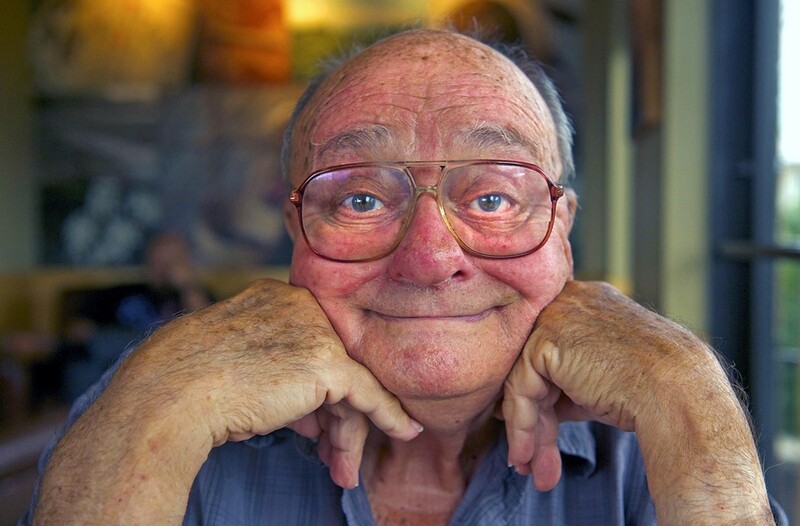 He was resigned to the demise of the video business but peppered his conversation with humor. I liked the line of videos he rested his arms on, as to say, this is my life, right here. Lonesome Highway: Published March 31. 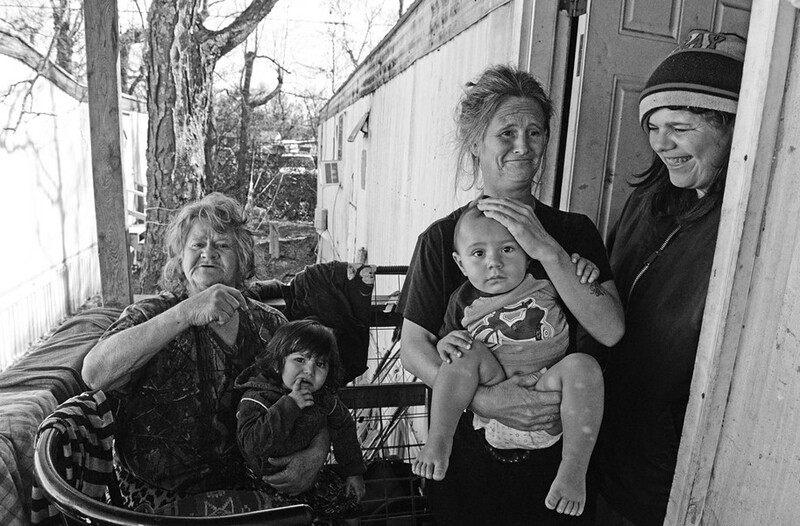 Joyce Elkins, Connie Butler and Ada Southall sit on the porch of their trailer with Alliyah Southall and Alberto Rivera. They live together in the trailer park behind Luis Pardo’s tire shop. Photographer’s Note: I was on a ride along with Councilwoman Reva Trammell when she pulled into the trailer park along Jeff Davis Highway. This family greeted Trammell like a long lost friend and pointedly told the reporter and me to tell everyone she was the best thing to ever happen to the district. The way the women clutch the children reveals a touching display of love. Lonesome Highway: Published March 31. 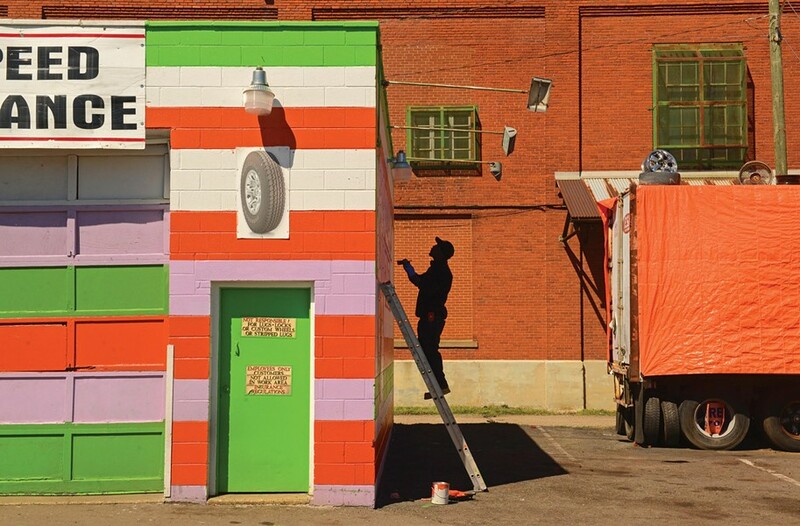 Charles Collins paints the exterior of Williams Plaza at 812 Jefferson Davis Highway. Photographer’s Note: I was cruising Jeff Davis Highway on a Sunday morning, working on a longer term assignment, when I noticed Charles painting. His brother gave me permission to photograph and got Charles in deep silhouette. The bright colors popped on the sunny morning and Charles seemed like an almost surreal element in the scene. Photographer’s Note: Joe rarely seems ill at ease but this day he looked uncomfortable. Everyone around him seemed to relish their return to the General Assembly but there were few speaking to Joe. Dominion Riverrock: Published May 20. 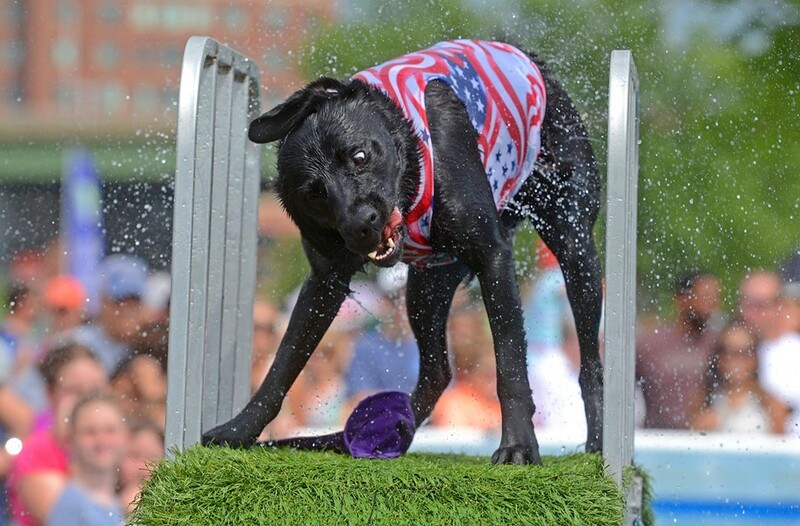 America shakes off after a big jump in the Ultimate Air Dog competition. Photographer’s Note: This is low-hanging photographer fruit but super fun to shoot. A high shutter speed and a zoom lens is all you need. Bowman’s Return: Published Aug. 4. Bill Bowman, the host of Richmond’s “Shock Theater,” returns for more ghoulish laughs.